As a professional, you have built your name on your work and reputation. When someone attempts to claim your work as their own, you have a right to fight back and claim what is rightfully yours. Our law firm has experience protecting the interests and rights of our clients from those who are infringing on their copyright. Usually, property created by you and subject to copyright is exclusively your own for your entire lifetime, plus 70 years. If the work is published as an anonymous person or under a pseudonym, the copyright generally extends for 95 years after publication. Copyright laws do not protect trademarks or logos, slogans or inventions, but contact us if you want to protect such forms of IP. When someone has infringed upon your copyright, a lawyer from Business Law Southwest, LLC can help. The only way to legally force someone to stop using your property is to sue them. Our Albuquerque copyright attorneys can take the person infringing on your copyright to court to fight to recover damages, court costs, and lawyer fees on your behalf. 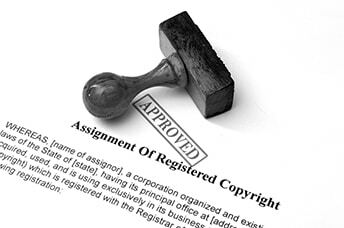 Contact our copyright attorneys today to protect what is rightfully yours. Call today to schedule your free, confidential consultation with an experienced copyright lawyer.